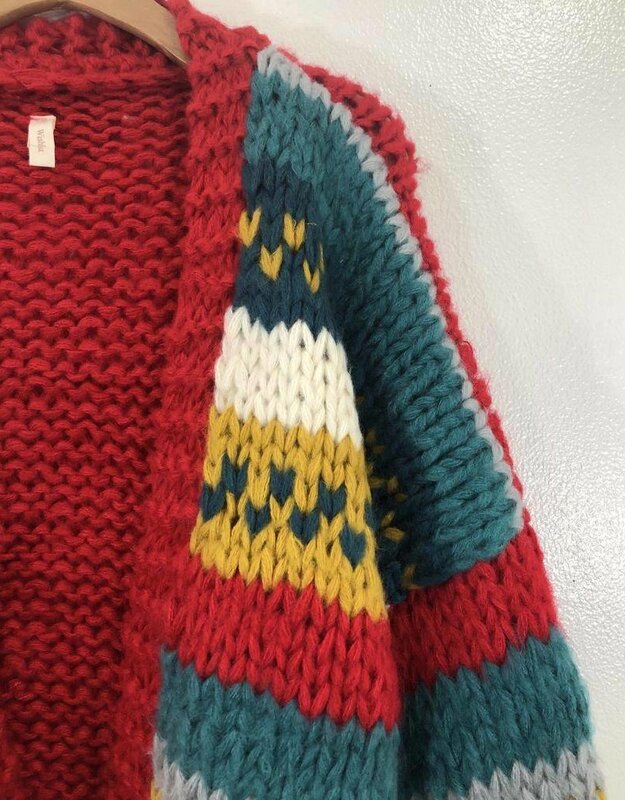 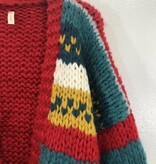 Yep, you just died and came to cardigan heaven. 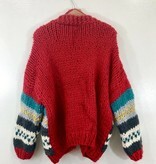 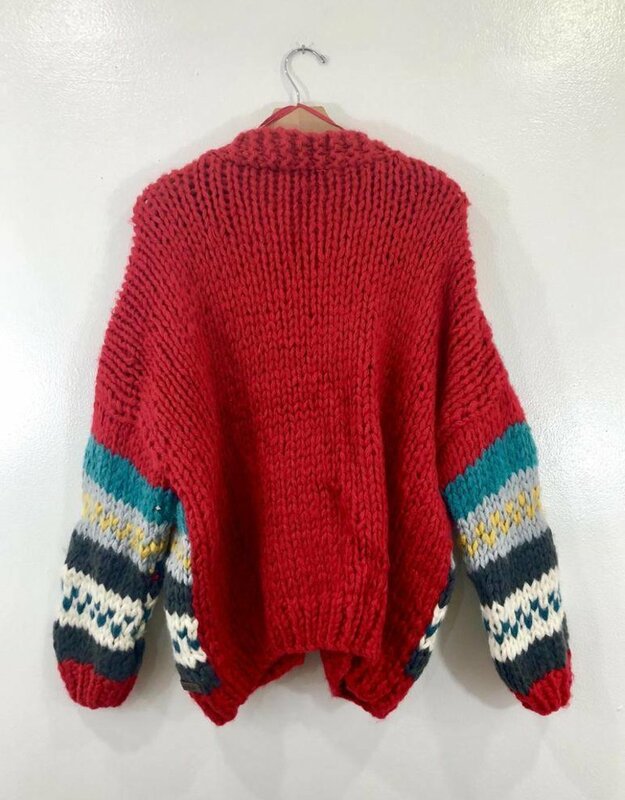 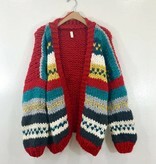 This baby is all kinds of cozy with it's thick knit and cuffed bishop sleeves. 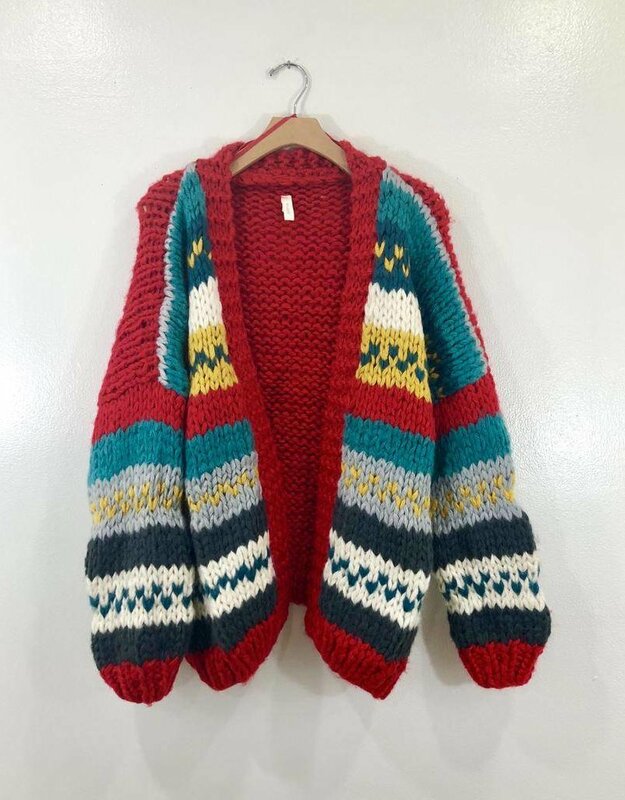 The color scheme gives major south west vibes with vibrant red, earthy yellow and cool tones of blue.